My mother is on a new kick that involves making more of the baked goodies she loves to purchase from neighborhood coffee shops in her own oven. From bread to cookies to, yes, even doughnuts, she is looking to find new ways to bake. For the most part, it is a money-saving technique. For what she spends on a doughnut at Winchell’s, she could make a dozen of them at home. Personally, I applaud her efforts. While making them at home is a bit more of a commitment than forking over a few bucks to the cashier for a chocolate glaze, it’s also better for her. There isn’t as much fat in a baked donut and not nearly as much preservatives or butter. For her birthday, I told her I would purchase a doughnut pan to help her in her effort to turn her kitchen into a personal bakery. 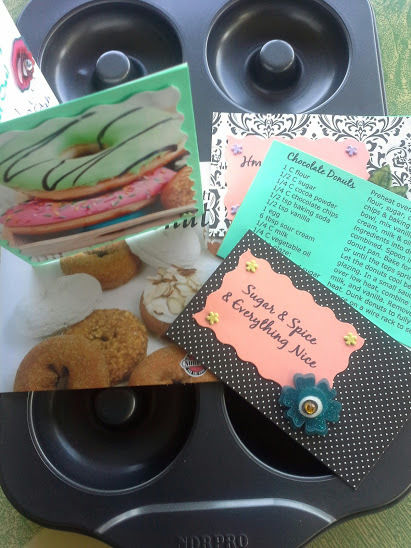 Since Mike and I have been experimenting with different types of doughnut recipes, I figured I would create a few cards with our favs to get her going. 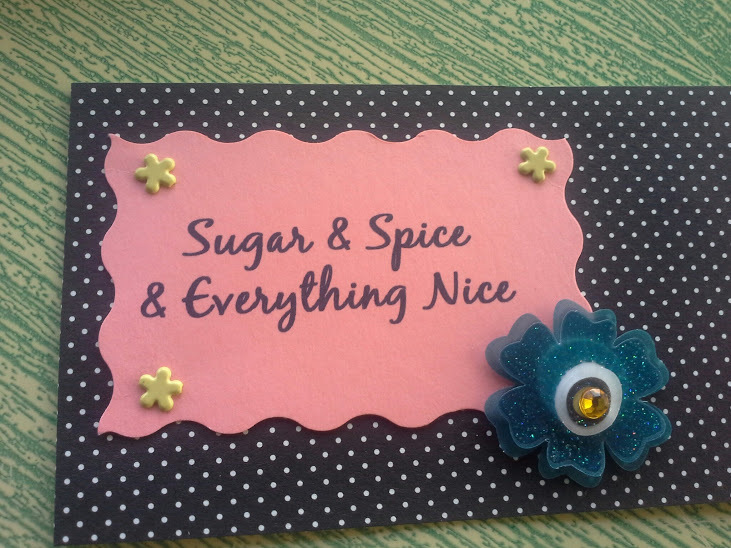 Recipe cards are the perfect DIY gift for several reasons. One, it gives you the opportunity to share one of your family’s favorite homemade concoctions with someone else. Think graduation, new home or even wedding gift. Two, it’s an easy and thoughtful way to show someone you care by baking them a unique dish and serving it up with a recipe card for them to try on their own. Third, it doesn’t hardly cost anything to create — but can be dressed up to suit your style or needs. All you need is card stock or index cards and a great recipe. You can print or hand-write the instructions. If you want, embellish the card with stickers, crayon drawings or even stamps. Or just punch a hole in the card and attach it to a plate or basket of goodies with some twine, ribbon or garbage bag ties. For the three recipes for my mom, I printed out the ingredients and directions onto card stock. I embellished the back of it with card stock and relate-able sayings. Easy peasy and less than 20 minutes. Next time you are stumped on what to get your dog walker, the neighbor or even your second cousin once removed, look no further than your own fav recipes.